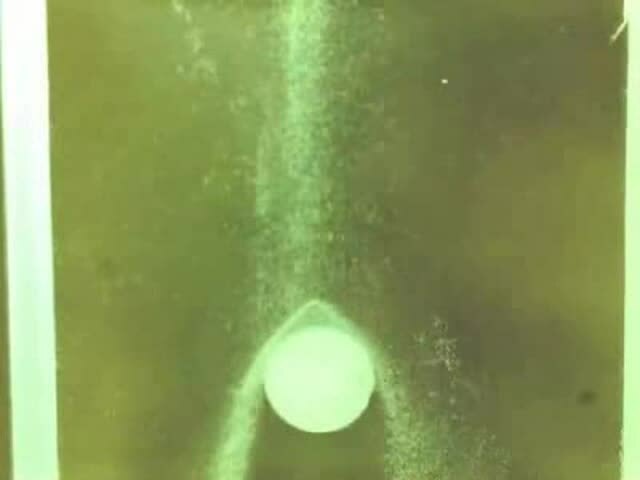 The granular flow around a cylinder is visualized using a high-speed camera. Granular particles are driven by gravity on the inclined plate, or between two plates, and generate a shock layer via a pile that is formed ahead of the cylinder. The characteristics of granular flows are investigated by changing the size of the granular particles. The gas flow is modeled with the coarse sand for the grain flow. The flow liquid flow is modeled with the mud for the grain flow. Read more in Visualization of granular flow around obstacle.